This post is a contribution from Made in Masseria and it’s all about Puglia dishes. The countryside in Puglia offers a rich choice of spontaneous edible herbs with many different properties and rare tastes. 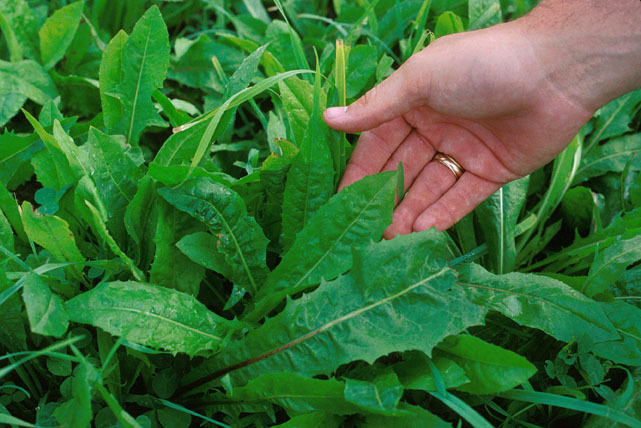 Above all the “weeds”, the most famous are the sivoni e cicorielle selvatiche (sivoni and wild chicory). Among the most authentic dishes of Puglia, sivoni and wild chicory are the emblem of a poor farming tradition that has been able to take advantage of every fruit of its land, even the wild ones. On every country road, in every cultivated field and even near the sea, sivoni and wild chicory animate the land and sprout with force and energy wherever in the whole region. They are rich in Omega 3s. They are strong depuratives and diuretics. In the cuisine they re protagonists of many typical recipes from the “sivon e fav” (sivoni and fava beans), to rustic pies stuffed with these vegetables and even omelettes. Their bitter taste makes the recognizable in every dish and they go very well with spicy and sapid flavours. You must absolutely try them during your holidays. 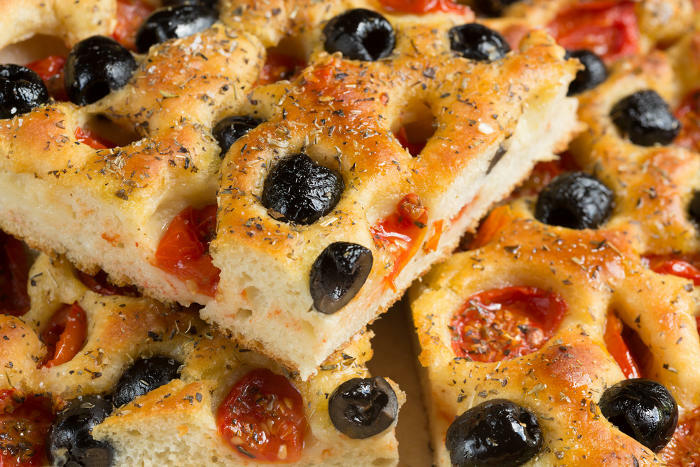 Walking along the streets of the most important small towns and cities in the province of Bari it is easy to find the unmistakable small of the very famous focaccia barese. The focaccia is one of the most typical products of Puglia and from the north to the south of Puglia there are many recipes that see this tasty dish made from reground semolina, flour, extra virgin olive oil, salt and yeast (possibly sour dough) as protagonist. The recipe that is well known in all the world is without doubt the one of the focaccia barese. The story tells that the focaccia barese originated from Altamura or Laterza to take full advantage of the oven the moment it was turned on. In the past every phase of the heating of the oven was important and not one degree was wasted. So they started with the focaccia when the oven had lower tempratures, then it was the turn of the bread when the oven was hottest and of the biscuits when the oven started to cool off a bit. Lovers of the focaccia barese also want boiled potatoes in the very runny dough, others prefer it without. The condiment is one and one only: tomatoes and olives. Wandering around the streets of the old city of Bari, you can taste the focaccia barese sliced and filled with mortadella. A real pleasure! This typical product from Puglia comes from Salento but is made throughout the heel of Italy. It is the frisa or frisella. This baked product is one of the most particular and most used in this cuisine especially during the summer season being easy to dress and serve, light and fresh. The frisella from Puglia is an oven baked, durum wheat or barley “tarallo”. After the first bake, it is baked again in the oven so that it becomes crisp and of the typical consistency of this exceptional bread. The dough is prepared with flour, oil, salt and yeast and rolled on itself a pressed on the four corners to give the frisella its typical shape. It is an ancient product born from the necessity to conserve bread for a long time to be able to use it all year round. Originally, the friselle were wet – or “sponzate” – with sea water and then dressed. Today we don’t use sea water any more and they usually come with fresh cherry tomatoes, oregano and extra virgin olive oil. You can add capers and raw onion and whatever other ingredient you like. You can also break it into small pieces and add it to your salad with “cialledde”. Continuing our travels of discovery into the traditional tastes of Puglia we are staying in Salento to present you one of the most famous dishes from southern Puglia which has not yet climbed the charts of the cooking blogs, but soon will. We are talking about rustico leccese, a preparation so delicious which enchants on first taste. The traditional recipe of rustico leccese is simple: a mixture of puff pastry filled with bechamel and fresh tomato which over time has been enriched with mozzarella, even though traditionalists are opposed to this innovation. 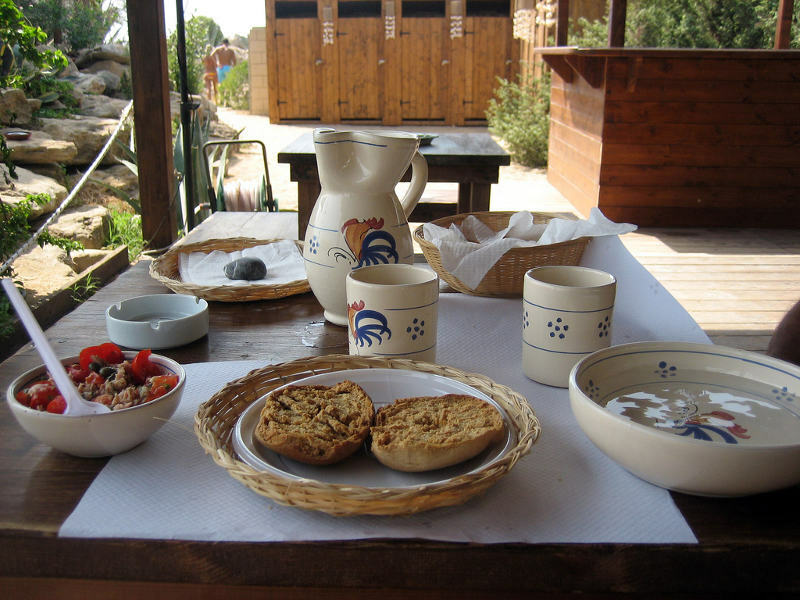 The origins of the most famous rustico leccese of Salento are uncertain. 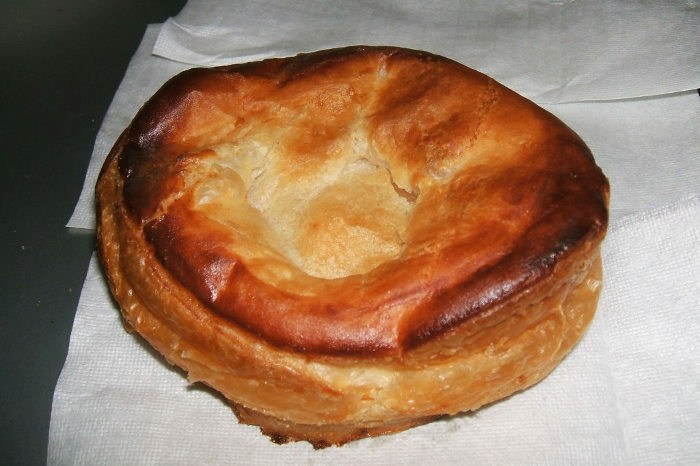 There are those who say that the recipe was born in the Lecce aristocratic families of the baroque period during the XVIII century and those who state instead that rustico leccese is a tasty copy of its sister dish created on the opposite side of the Adriatic: burek. Effectively the recipe is very similar. Rustico leccese is made with puff pastry, burek with filo pastry; rustico is filled with bechamel and tomato, burek with cheese and meat. Rustico leccese has become the most important street food of Salento (like the panzerotto in Bari) and is present in every bar and pastry shop. Some people even have it for breakfast! Let’s leave the oven for a moment to immerse ourselves in the Pugliese cheese excellence, become famous first of all thanks to its use in the kitchens of glamorous restaurants: ladies and gentlemen, his majesty the burrata. Burrata is an explosion of taste which captivates all who discover it and who can appreciate it in the smallest form, burratina, or also in the smoked version. 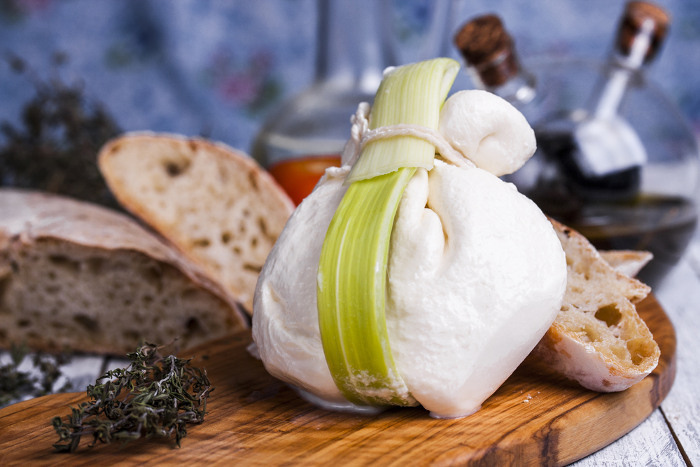 Burrata is made up of a delicious pastry of spun cheese like mozzarella, characterised by a soft consistency. On the inside hides an explosion of stracciatella cheese of the best quality. The queen of fresh Leccese dairy products was born in the Murgia area and history would have it that it was born in in 1956 in Andria by the genius of one Lorenzo Bianchino during a fearful snowstorm. Lorenzo, having to transfer the mozzarella paste from the farm where he worked around Castel Del Monte to the town of Andria, afraid that this would congeal on the way, decided to protect the famous mixture inside a “mozzarella roulade”. From that day Puglia and the whole world changed: burrata was born! Also in the vegetable gardens of Puglia there is a queen who comes from Torre Canne, a village in Fasano province which faces the beautiful Adriatic coast. 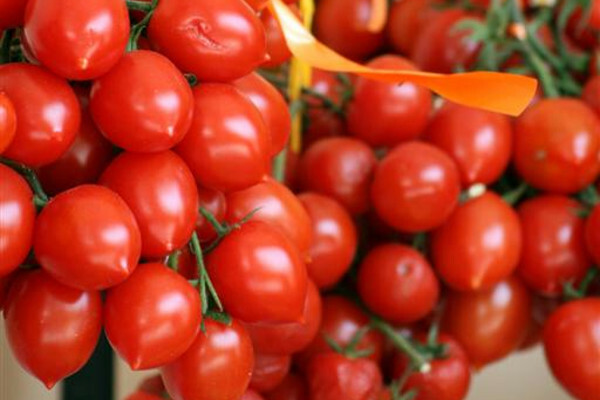 The Regina di Torre Canne tomato, like the carosello cucumber and purple carrots of Polignano, is a vegetable that you can taste and discover only in Puglia. It is cultivated on coastal plots, sandy land rich in marine salts giving this tomato a unique and unmistakable taste. The name “queen” derives from the stalk which upon maturity takes the shape of a crown. Just as peculiar is the storage process of this tomato, which once more testifies to a tradition dedicated to gathering and saving every resource. Regina tomatoes, since ancient times, have been stored for the whole winter by families in Puglia History tells us that in the farms of the Torre Canne area these tomatoes, after being harvested, were tied together with a thin cotton thread giving rise to the celebrated “hanging tomato” of Puglia. In this way the summer harvest was dried and stored for all the coldest months of the year. Regina tomatoes make up part of one of the very many protected Slow Foods of the region and are characterised by a savoury taste which derives from the sheltered coastal plots where they are grown. In the whole province of Bari Sunday morning is distinguished by a unique smell which spreads into the streets of the ancient villages up until lunchtime when the traditional brasciole sugo is served at the table. 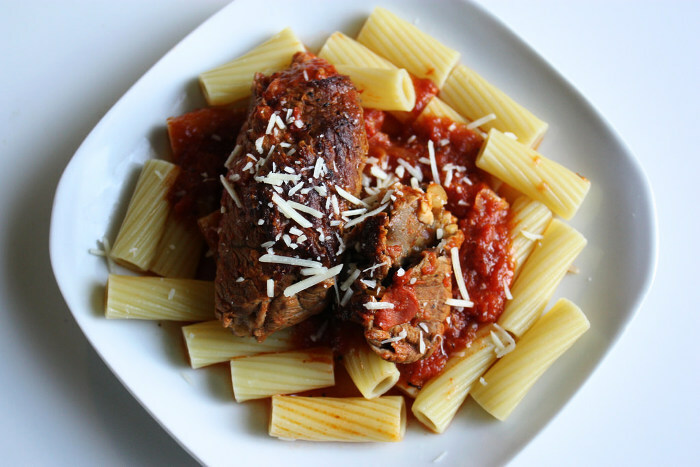 Also called bragiuole or bragiuolette, in its smaller variants, these typical meat preparations are of an exquisiteness not to be missed during your own holiday in Puglia. Brascioles are slices of lean meat filled with cooked ham (or lard), ground garlic, parsley and sheeps-cheese. They are usually made with veal or pork, but brascioles, with a capital B, are without a doubt the ones prepared with horse meat. The traditional recipe demands that they should be cooked in a sauce like the best meat ragus and eaten during the the rich Sunday lunch. The more traditional families start the preparation from the Saturday afternoon where, very slowly, the brascioles are cooked for hours in a fresh sauce. On Sunday morning the cooking started the previous Saturday is restarted giving the meat a soft consistency to the point where it “melts in the mouth”, as the best Bari grandmothers would say. Festivities in Puglia are felt very strongly and they become a good occasion to pass the festive days in the kitchen first, and then at the table, tasting the traditional recipes from Puglia. The “chiacchere” are an absolute must on the table for the Carnival period. The dough is simple: flour, eggs and sugar. The preparation is complicated on the other hand and it is an exclusive task of the grandmothers and mothers of the family to make them. After having kneaded the dough very well, it is rolled out and cut into small rectangles to be then fried and sprinkled with icing sugar. 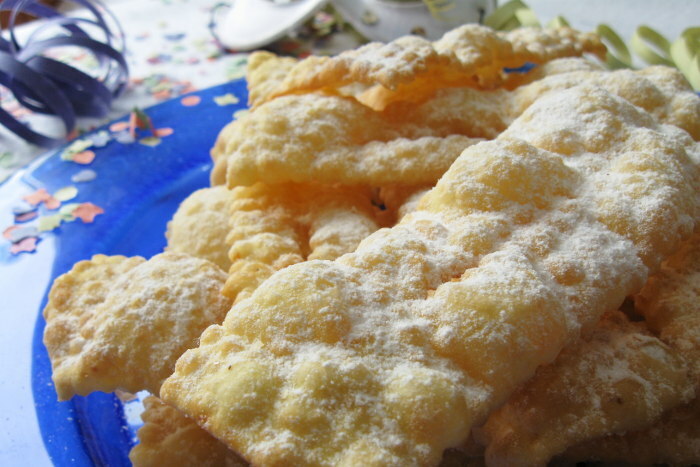 Lovers of the Puglia gastronomy say that the chiacchere come from ancient Roman times when desserts were fried in animal fat during the carnival period. That’s how the frictilia originated ( a traditional preparation of Roman timesthat was made during the carnival period). If you are planning your holidays in Puglia during Carnival be ready to eat a lot because everyone knows that chiacchere are moreish. Our journey into the world of the typical products from Puglia is coming to an end and therefore we have left the dessert for last. 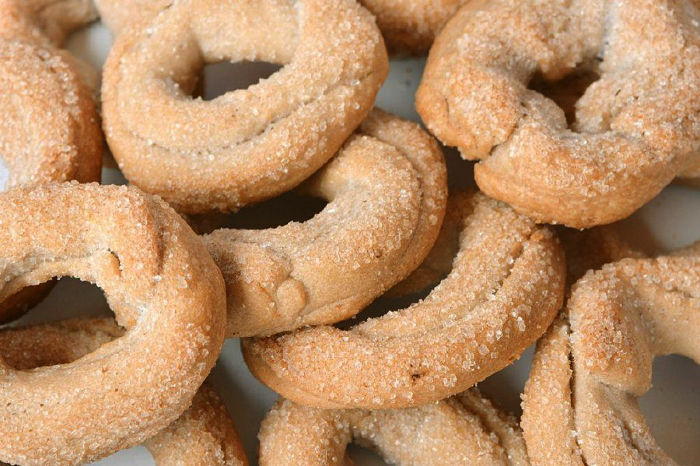 The sweet, wine taralli are another typical dessert from Puglia that is prepared during festivities. They are usually made during convivial Christmas gatherings when grandmothers, mothers, nieces get together to make the sweet taralli rigorously by hand. The dough is made with flour, lots of sugar and red wine usually a Primitivo or a Negramaro and it has a consistency that is difficult to knead. Once the dough is made, it is turned into the typical tarallo shape, sprinkled with sugar and then put in the oven at a low temperature to keep all the taste and soft and delicate consistency of the sweet, wine tarallo of Puglia intact. A rare fruit that grows in Puglia and is used in many traditional recipes. They are tasty and impregnated with history. We are talking about quinces, a typical autumnal product full of good properties that is part of the apple family but has a completely different taste. 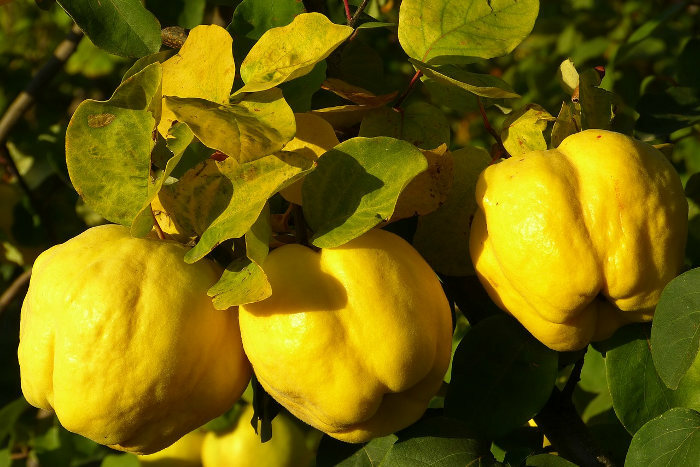 Quinces are the main ingredient of a traditional pudding from Puglia: the Cotognata. It originated in Salento and then it spread throughout Puglia very quickly thanks to its sweet taste and unmistakable consistency. It is an excellent marmalade that is so dense it can be cut and conserved in pieces. It is delicious with cheeses and on its own. Another typical preparation is the quince liqueur, a sweet liqueur that is always found on the table of any proper family from Puglia. The natural and fruity taste encloses all the tradition of the land of Puglia. It is made through the infusion in pure alcohol and then mixed with a sugar syrup. It is then left to rest for a couple of months after which it is ready to be served at the end of meals. 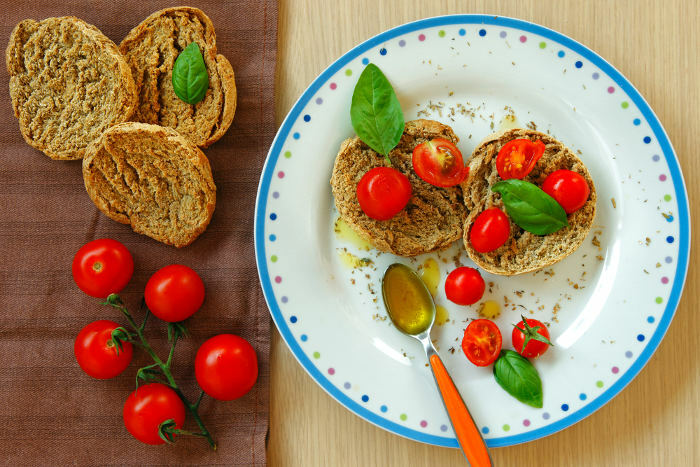 Each one of the ten typical products from Puglia is a must to taste during ones holidays in Puglia in order to fully comprehend the culture and century’s old traditions of this marvellous region. This post was written by Made in Masseria, an online shop that offers a selection of the best local wine and food specialties of Puglia and Basilicata. It is a project that comes from the idea of some producers, distributors and organisers of the productive process to promote the quality of typical products from Puglia and Basilicata.